In 1930, more than 15 years after the first commercial flight, approximately 6,000 people were flying. Just four years later, the industry experienced a 75-fold increase and was up over 450,000 passengers. According to the U.S. Bureau of Transportation Statistics, nearly 1 billion passengers boarded U.S. airliners in 2016. Early on, a single round-trip ticket was about half the price of a new car. That elite luxury experience has devolved as airlines have moved to cut costs and increase profits. Today, for most of us, air travel consists of a series of unfortunate lines, embarrassing checks and obscure ticketing rules that leave us in a confined space where we’re uncomfortably attempting to open tiny packages without disturbing our neighbors. The fact is, the market is begging for another option — and they’re racing around the corner. My work requires me to travel a lot (for me). Same-day round-trip flights are relatively common between cities like LA and San Francisco or Washington, DC, New York and Boston. My most common these days is between LA and SF. Let’s examine the experience. It takes me more than five hours to get from my apartment in the Marina District of San Francisco to the Los Angeles office of a partner. My alarm goes off at 3:30am, then I get ready and hop a car to SFO. I arrive at the airport after the 30-45-minute trip (traffic’s not bad at 4am), and head through security to board a flight by 6am to Los Angeles. Then some hour and a half later, I’m on the other side at LAX hailing a car service to take me an hour away to my final destination. Aside from a private jet, or the pending perfection of Hyperloop, there’s no faster way to get me to my destination. And while my car or a train might make for a more comfortable ride, it doesn’t make sense to take either. The drive between San Francisco and Los Angeles would take about six hours, during which I wouldn’t be able to get any work done. On the train, I’d be able to sit and work, but it would take about 12 hours, which means I’d lose a whole day in transit. Flying is clearly the best choice, despite being uncomfortable, oftentimes inconvenient and delay-ridden, not to mention the thrill of getting through security. But short-haul flights like these won’t be my best option in the future. 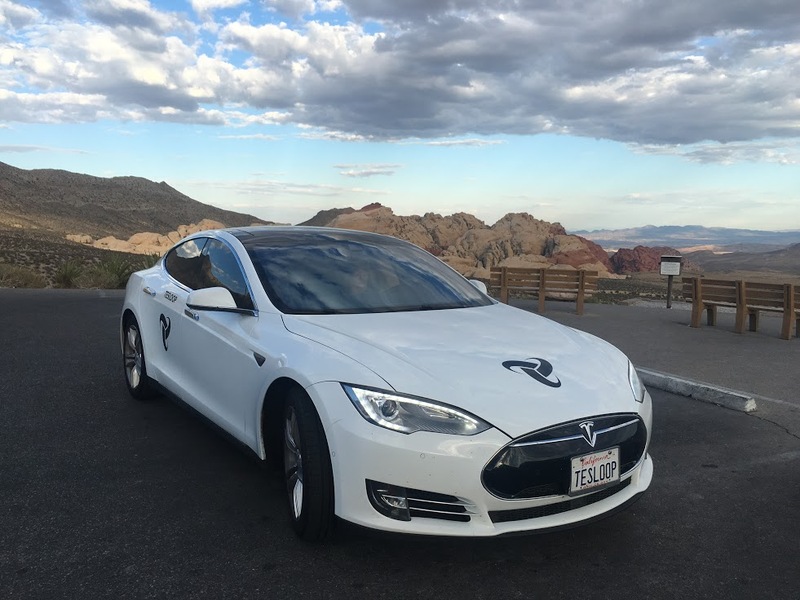 The rise of autonomous cars provides travelers more options when it comes to making these kinds of short trips. Instead of spending time getting to the airport, waiting in lines, wishing I could be getting work done, I, or a group of friends or colleagues, could make the journey in the comfort and safety of a vehicle that drives itself. It would beat the train, which offers many of the same perks, but on a much slower timeline. And because I wouldn’t be driving myself, I’d be productive. I could get work done, pay bills or, if I’d completed all my work, kick back and relax with a movie. For some people, the notion of autonomous vehicles is still the stuff of sci-fi fantasy, but autonomous cars are coming quicker than you’d think. Toyota, Ford, Mercedes, BMW, Tesla, Nvidia and Google are among myriad major companies pursuing the concept of driverless-car technology; and, to date, five states allow the testing of fully autonomous cars on public roads. Even by conservative estimates, driverless cars could be on the market by 2021. But does this mean that autonomous vehicles could soon muscle in on the short-haul flight industry? In a word, the answer is yes. Comfort is, of course, a huge factor here. It’s already been established that driverless cars will reimagine the design of terrestrial vehicles; without the need for a driver or cockpit, that space could be better used for more leg-room, coffee machines or conference tables for business travelers. Terrestrial travel also has the immediate advantage over air of solid Wi-Fi service, effectively freeing travelers from the uncertainty of spotty or non-existent connectivity while in flight. Despite the added comfort and convenience that will come from using driverless cars, I’d still need to take a flight if I were really in a hurry, right? Well, maybe. With the current status quo in place, short-haul flights edge driving by a click. Driving with current speed limits from San Francisco to downtown LA typically takes a little more than six hours; compare that to my journey with United, which door-to-door was five hours, and there’s a clear winner. However, that’s with the current status quo. Many suggest the speed limits on highways could rise with the improved safety expected to come with autonomous cars; and while no one is willing to put an exact figure on this, the higher travel speeds of driverless cars could end up balancing out the time saved by traveling via short-haul flight. In general, terrestrial short-haul may be as fast or slightly slower than airlines, today. Nevertheless, it’s likely to be much more consistent in both price and time to the destination. Examining price, a direct, round-trip flight from SFO to LAX can start at $150 with taxes. On average, I’m paying more than $300 because I’m often traveling with very little notice. If I’d like a flexible ticket, that price often doubles. 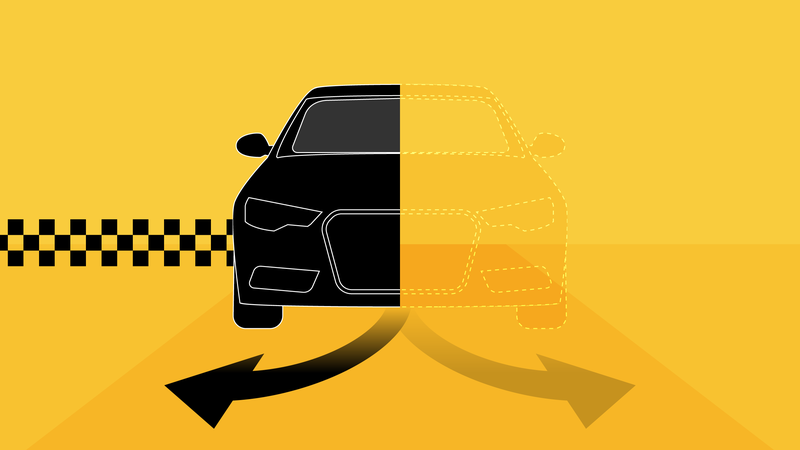 According to some estimates, the price of cabs sans driver could come down as much as three-quarters. 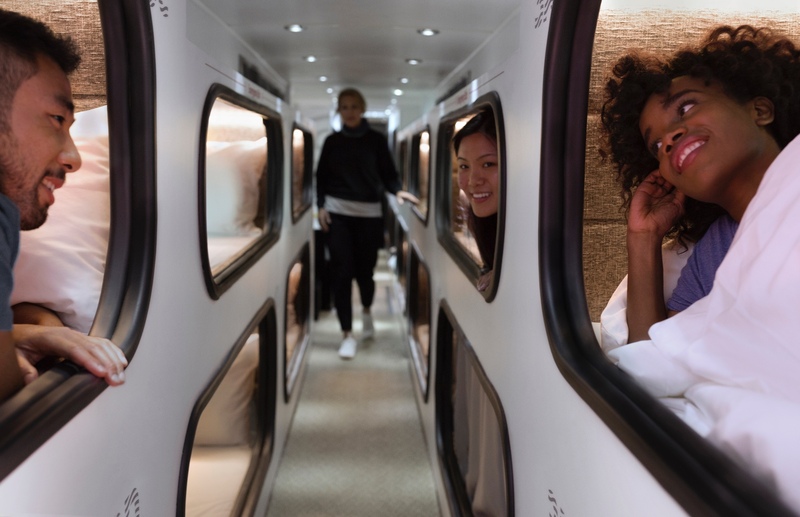 If the journey between LA and SF with one passenger may be twice the cost of the best price, and, with more passengers, autonomous travel would become the cheaper option. Moreover, the group could co-work or enjoy entertainment as they move to their destination. It’s hard to believe that we’d choose to deal with the hassle and rigidity of airline contracts versus hitting a button on our smartphone and traveling door to door. Millennials are ceremoniously biased to value experiences over things and wanting more control of their surroundings; these trends will drive (pun intended) the future of short-haul transport. What’s possible when you could travel in a mobile living room, massage parlor or movie theater is astonishing. There’s a lot at stake. According to travel expert Jim Loomis, “a large number of flights in and out of most of the major hub cities are to and from cities less than 400 miles away.” This includes 30-40 percent of arriving flights from Chicago’s O’Hare Airport. A massive chunk of travel could shift from air to land. Moreover, with the lower price point for groups and added convenience, families may afford to travel more. In other words, the pie will probably grow. To be fair, some in the airline industry are realizing that they are in trouble and are improving customer service and considering new approaches to making flying more customizable. It wouldn’t be fair to forget innovations like Airbus’ A3 lab, for example, which has debuted a concept for a modular airplane. Equally, United deserves an honorable mention; however, they consistently find innovative ways of abusing their passengers and nickel-and-diming families. There’s absolutely no better advertising for more options than looking at their twitter mentions. While the ifs around the future of autonomous cars are big, airline companies like United would still be wise to take note and prepare themselves for the turbulence that may be shaking up their industry in the coming years.